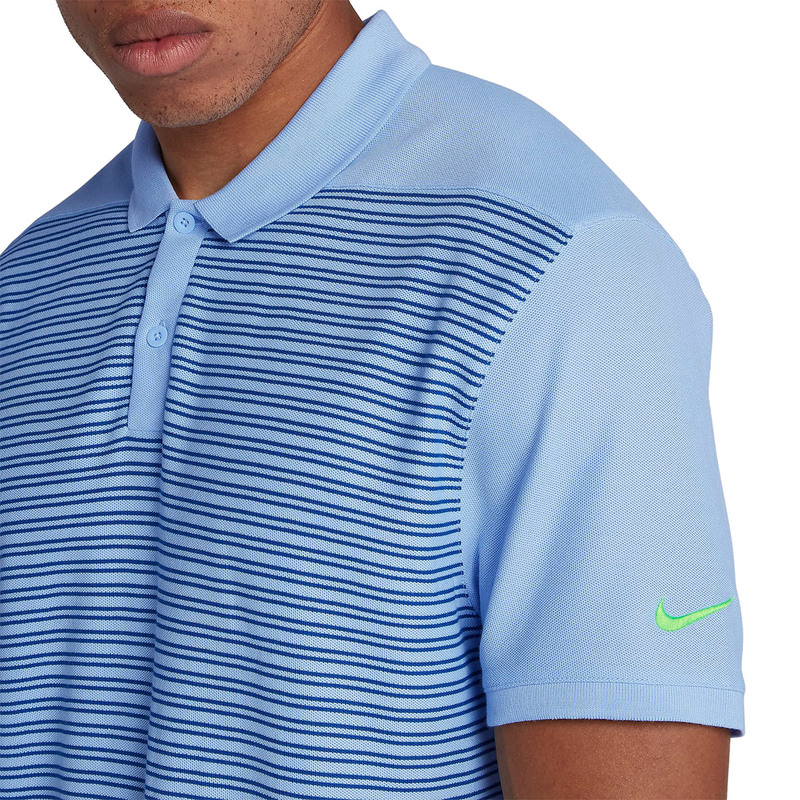 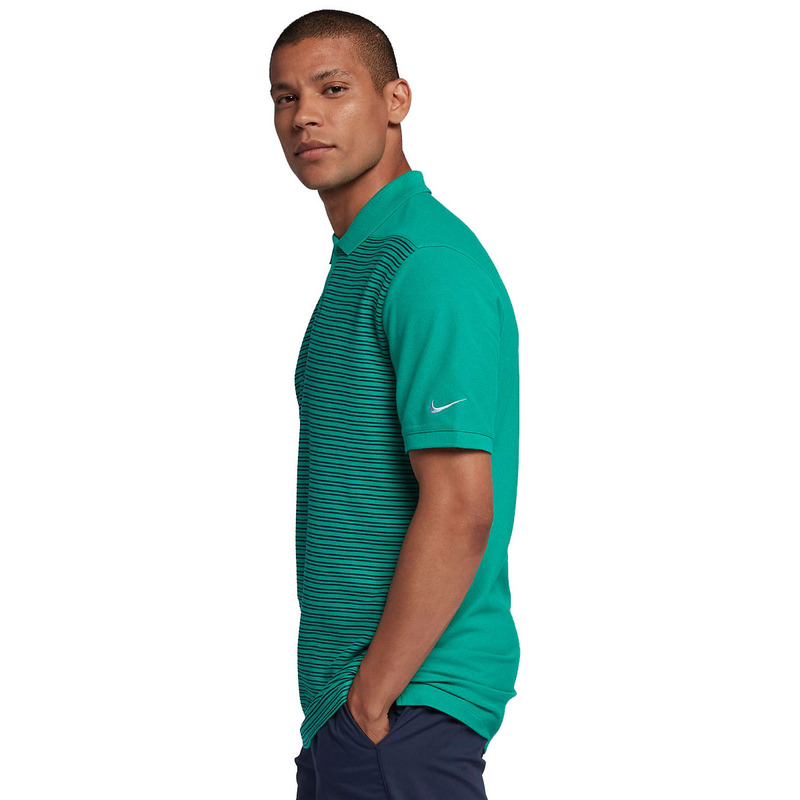 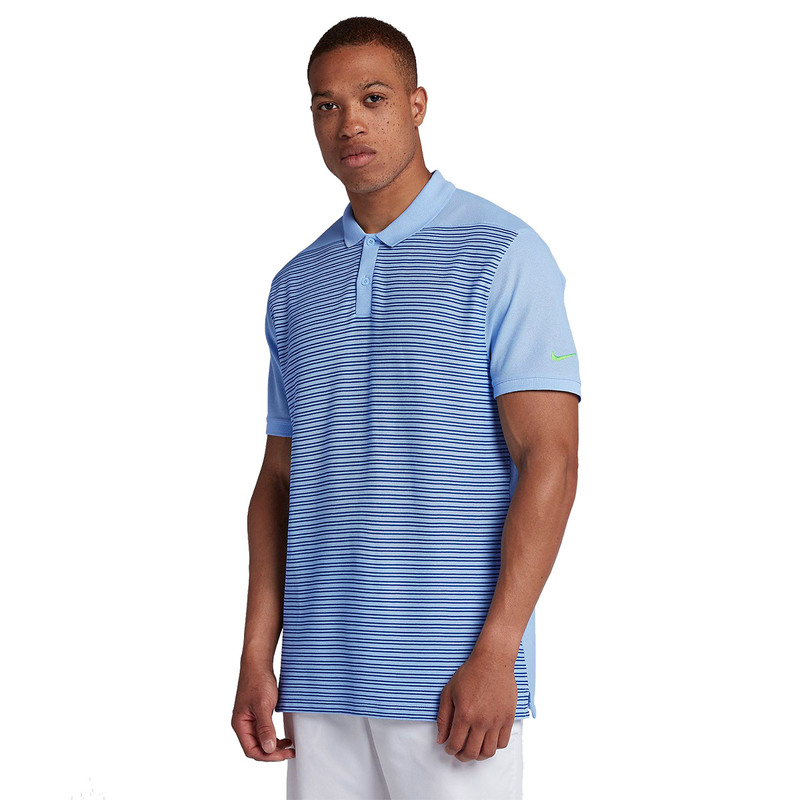 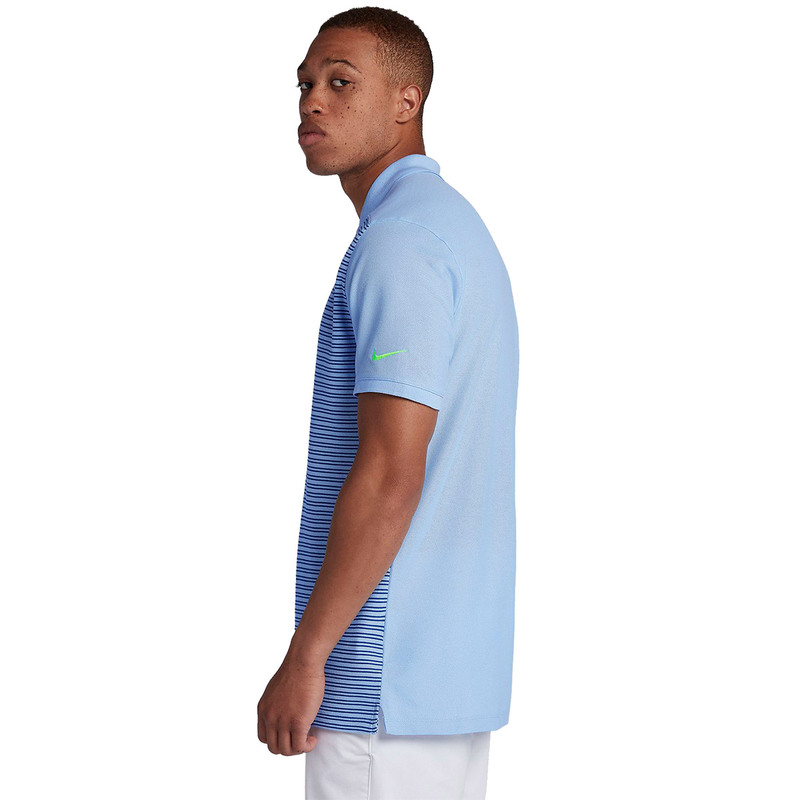 Elevate your performance levels in total comfort and harmony, with this classic striped polo shirt from Nike Golf. 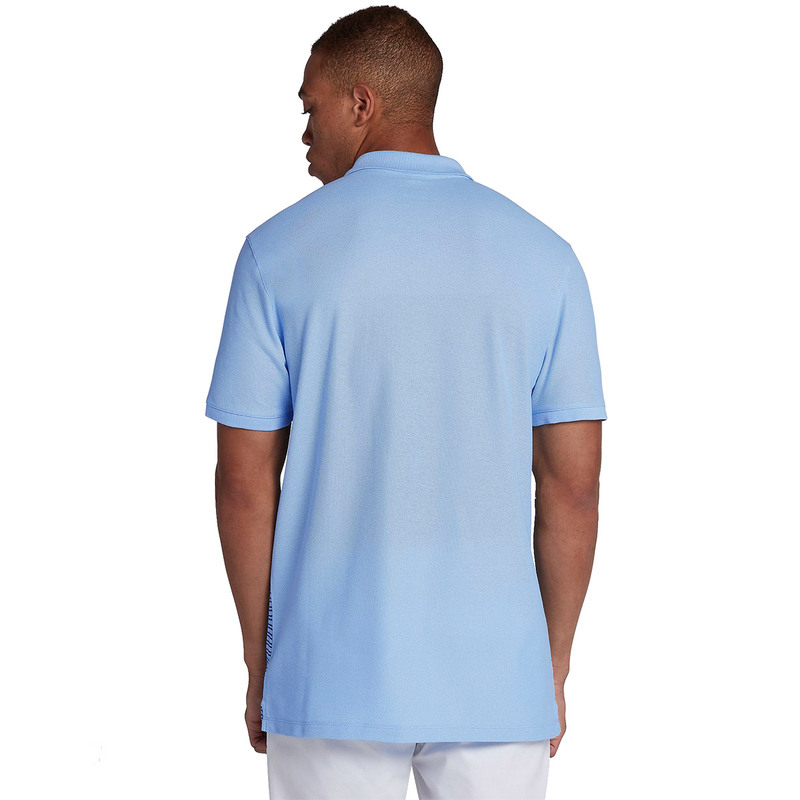 The shirt has rolled-forward shoulder seams, and has a relaxed fit for a more natural range of motion, perfect for any sport where you need to move more freely. 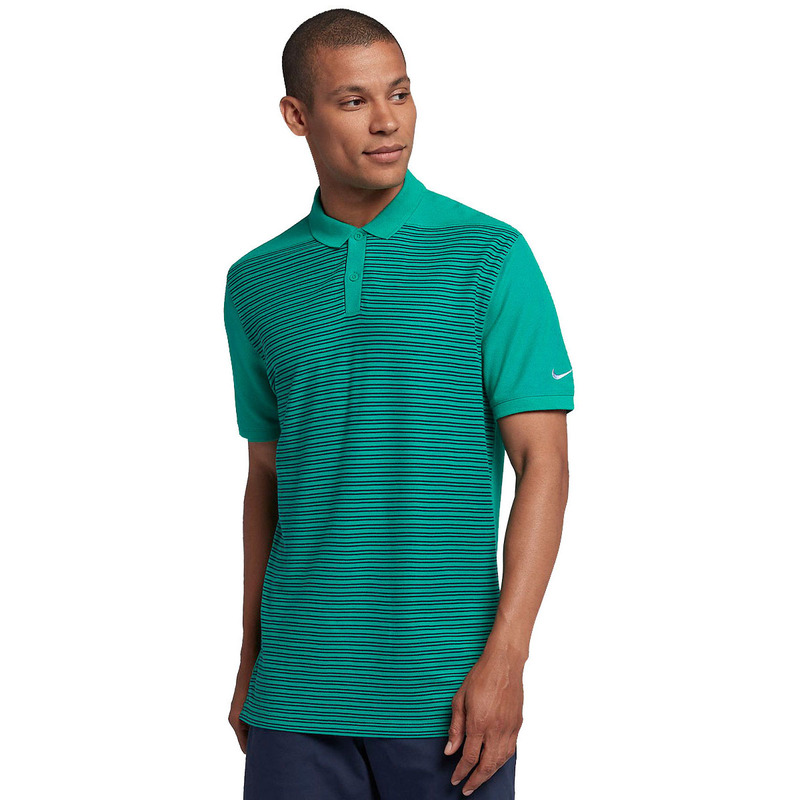 For even more performance the garment has Nike Dry fabric, which wicks moisture away from the skin, for less distraction as you play golf. 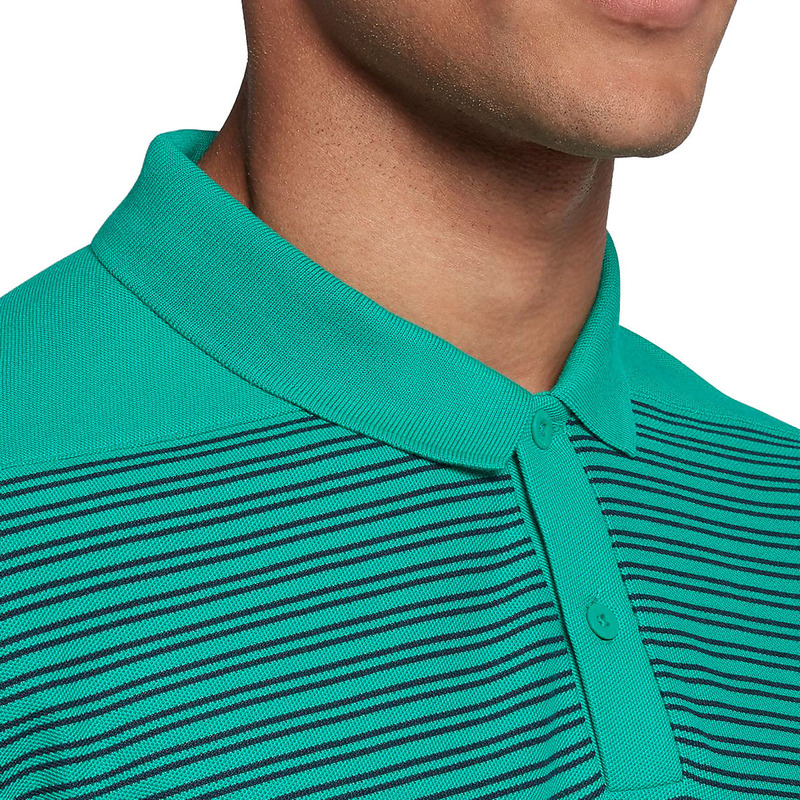 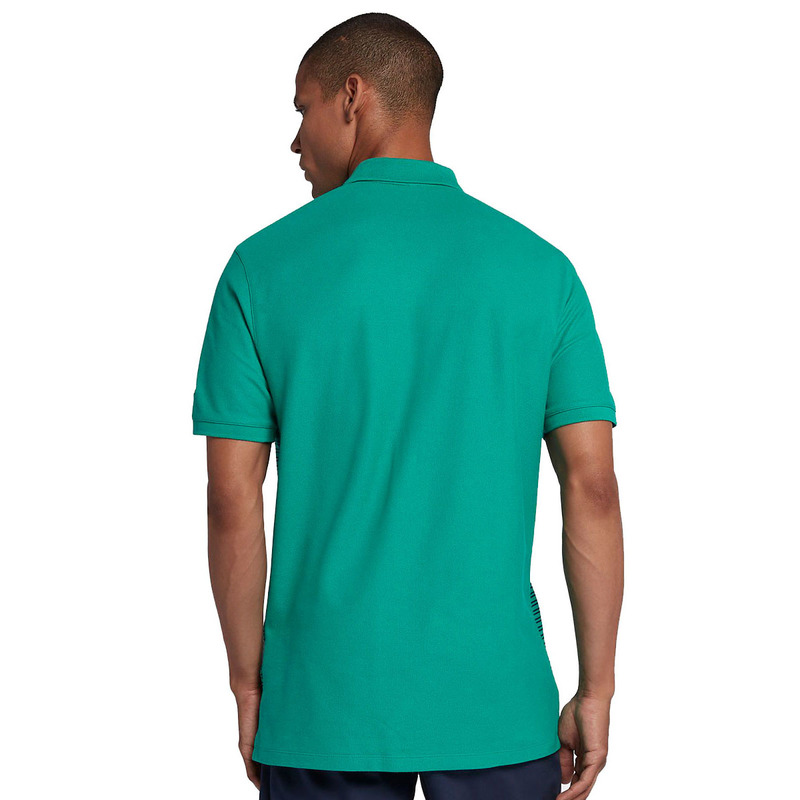 The design features a two button placket and fold over collar, which provides classic styling as you play golf.